Chinese phone giant Huawei has expanded its range of smartphones to compete with high-end producers like Apple and Samsung. With a reputation for pairing high-end specs with lower prices, the popularity of Huawei mobiles has grown in the past few years, especially since teaming up with Leica to produce fantastic phone-camera capabilities. The latest range of Huawei mobile phones includes the P8, P9, P10 and its latest flagship smartphone, the Mate 10. The P9 is similar in size to the iPhone 6S, but packs in a larger screen - Huawei gives you a 5.2-inch screen while the iPhone 6S has a 4.7-inch display. Smaller than most other big-name Android phones, it's a great option for those looking for a more compact model, without compromising on screen size. The P10 and P10 Plus launched as flagship Huawei mobiles in April and is a more compact version of it's Mate 9. The P10 gives you a 5.2-inch 1080p panel, increased to 5.5-inch 1440p on the P10 Plus, along with 4GB or 6GB of RAM. The P10 features the impressive dual-camera setup that Huawei has made its unique selling point. Designed in collaboration with Leica, it features f/2.2 lenses in the P10 and f/1.8 in the P10 Plus. The 12MP and 20MP dual camera lenses allow you to shoot finely tuned images and record video at 4K. With two sensors working together, you get better images. One sensor is a monochrome sensor that shoots far higher levels of detail. A third camera on the front of the P10 family of phones provides you with an 8MP lens that's perfect for capturing selfies and shooting front-facing video in Full HD. Huawei's latest flagship phone range is the Mate 10. 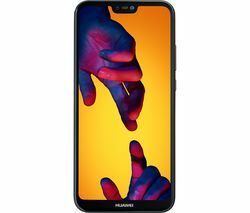 This is Huawei's most powerful and advanced mobile to date, boasting a Kirin 970 processor, 6-inch FULL HD+ OLED display, the same rear-facing 12MP and 20MP dual Leica camera setup, and a huge 4,000 mAh battery. 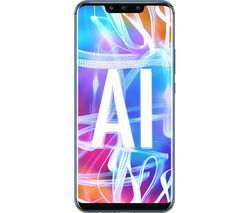 It's one of the first Android flagships to feature the new Android 8.0 Oreo OS and the first Android with a dedicated Neural Processing Unit (NPU), so it's future-proofed for the coming wave of AI-powered Android apps. For a wider selection of top-end and affordable smartphones, take a look at our full range of Samsung mobile phones and Sony mobile phones.